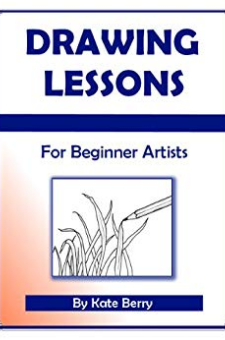 These drawing lessons will see you zooming to the top of your art class because they help you find that sought after co-ordination between hand and eye. This is a definite requirement for anyone who wants to be an artist.Drawing or sketching becomes automatic once you learn these skills and the majority is done by studying Nature. A must-have for any student and great for homeschooling.There are more than 40 illustrations to demonstrate each process.Join Author Kate Berry, a self taught artist who knows all about the obstacles you may be experiencing.